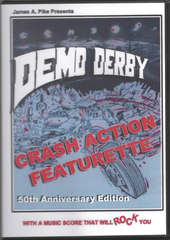 August 27, 2014 - Background on Harvey Kubernik's "It Was 50 Years Ago Today THE BEATLES Invade America and Hollywood" and the 50th Anniversary Edition of "Demo Derby" the short movie that played on more than 6,000 screens across the nation with "A Hard Day's Night." August 26, 2014 - Otherworld Cottage Industries holiday catalog will be featuring two narrative rhyme CDs — "Odd Tales and Wonders Stories in Rhyme" and "Grumpuss: The 15th Anniversary Audio Theater Edition," in its 2014 holiday shopper's catalog. August 25, 2014 - By the end of this, its first year as a publisher, Otherworld Cottage will have released five music CDs, four of which ("Odd Tales and Wonders Stories in Song," "Feelin' Better," "Reconstructed Coffeehouse Blues" and the "Tea Party Snack Platter"), are directly related to OIC's 2013 book release of "Travis Edward Pike's Odd Tales in Wonders, 1964-1974 A Decade of Performance." 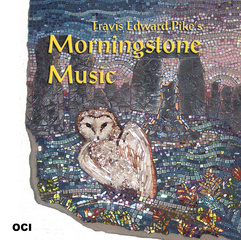 August 25, 2014 - Otherworld Cottage is pleased to announce that Travis Edward Pike is currently adapting his unproduced theatrical musical, "Morningstone," into a novel, and will also be writing an illustrated, non-fiction book exploring its underlying mysticism, folklore and mythology "Mysteries of Morningstone. Otherworld Cottage expects to publish both books early next year. 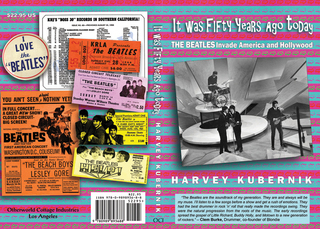 July 11, 2014 - Authoring this year's "It Was 50 Years Ago Today THE BEATLES Invade America and Hollywood" and "Turn Up the Radio! Rock, Pop and Roll in Los Angeles 1956-1972" has already elevated Harvey Kubernik's visibility and reputation as a pop music historian — and the year isn't over yet.